Wow that 2017 concept is miles better than the robo bird. Case in point. I've seen plenty of issues debated regarding the design of Austin FC's logo. The one that stands out to me? It drives me crazy that the "FC" within the mark is rendered in green. I feel that it would be a much stronger mark if the "FC" were white. To my mind, within the logo, it makes sense for all of the letters in the team's name - "AUSTIN FC" - to be rendered in the same color. This would also allow the tree design element to stand on its own. Yep, they have the exact same problem in reverse. This is a really good point, as someone from the midwest who went to school in Columbus. Columbus' German Village is one of its best areas, including one of their more iconic (for Columbus) restaurants, Schmidt's. By paying homage to clubs like Bayern Munich, there's some regional flair and personality that the other logo lacked (even though it literally had people on it). oh man i miss Schmidt’s. id fly to Columbus just for that. Apologies for taking this off topic even further, but Columbus has one of the nation’s best culinary scenes. Huge test market for chains, plenty of food trucks and lots of local restaurants whose brands have grown exponentially or remained hidden gems. If any of you are ever in town, feel free to reach out and we’ll meet up somewhere! That said, everything about the Crew’s current logo is an upgrade (should note I was not a fan of the addition of “SC”, though I understand why it happened). Having the city name is important, especially for residents. The colors stand out from the rest of the league and are much clearer than in the original logo. The founding year was a nice touch, as was the checkerboard pattern for the fans in the Nordecke. 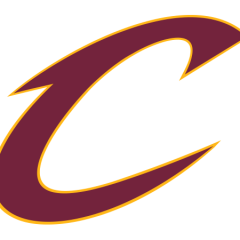 I don’t think it’s unfair to say the original logo looked like clipart or unbecoming of a professional sports franchise, no matter how appropriate it seemed given the constant construction around Columbus. Columbus is awesome. Just wanted to say that. I am a 2-time Ohio State grad and work in Columbus now. Good restaurants EVERYWHERE. Interesting places. Also very easy to drive in, unlike many big cities. This has come up on the boards before, and I suggested Pantone Warm Gray 6CP. It's a pretty close match to the bird, and it's a color they could own like the Bucs used to own pewter. Before the Miami Dolphins dropped the ball in 2012, the logo was going through major upgrades. I say that their 1997-2012 logo was their best upgrade. It’s like the CCSLC version of the 10-year challenge. Did you really post a link from a logo site other than sportslogos.net (the mothership)? Not really, based on trial searches. If he searched keywords: Miami Dolphins logo, that was the first link that came up. I wasn’t aware there were other sports logo sites besides Logoserver. I agree with you, hate the modern Falcons logo and this concept is a good compromise with the old, rather stiff logo. But, that split tail is bugging me. My brain KNOWS that first Saint John’s logo is ugly as sin... but my heart is telling me the same it told me about the navy/red Iowa State cardinal-in-a-cyclone logo. Something about that color scheme is intriguing, it’d be interesting if a school ran with that scheme again.